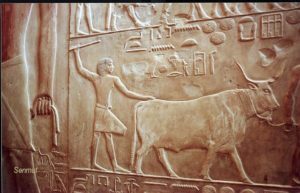 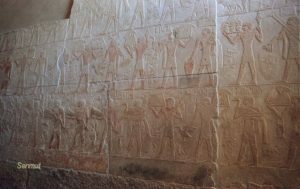 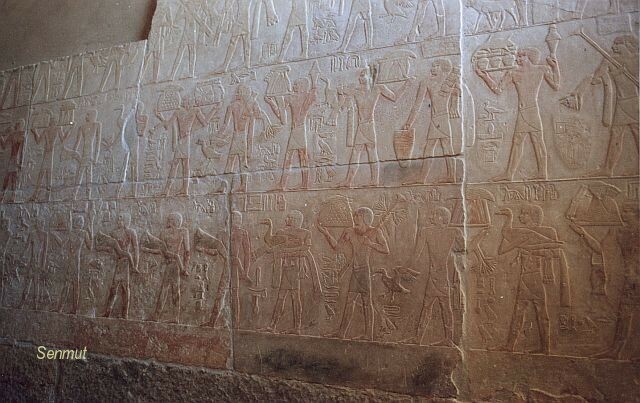 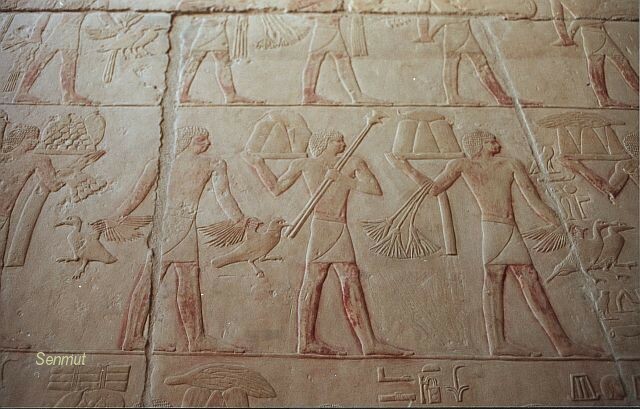 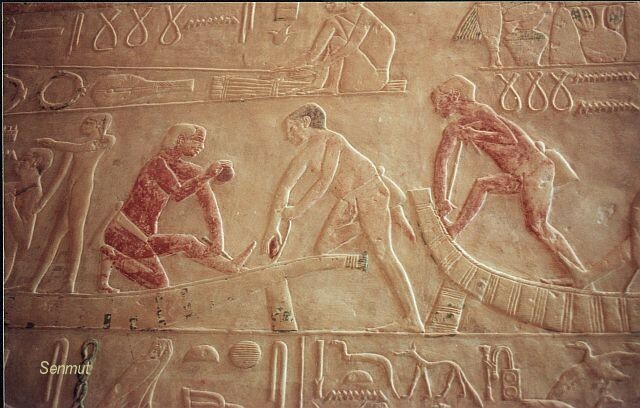 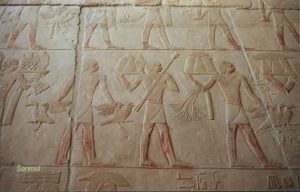 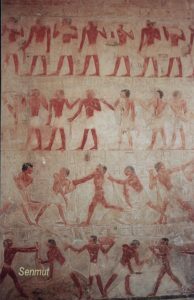 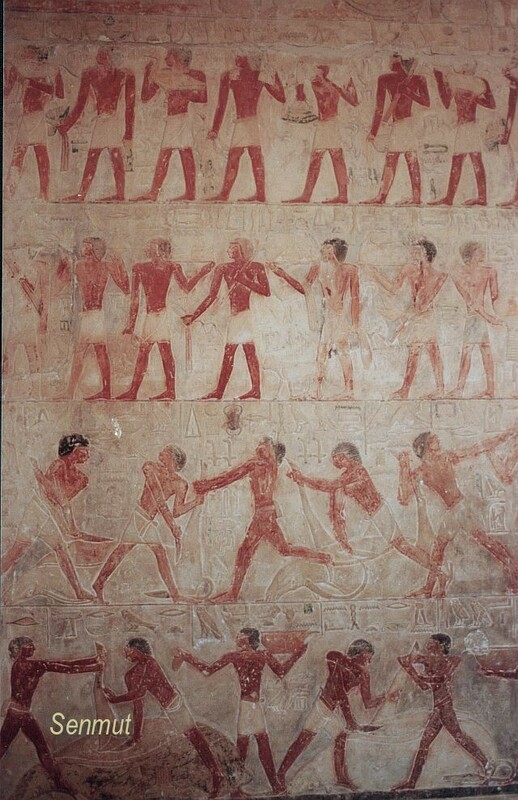 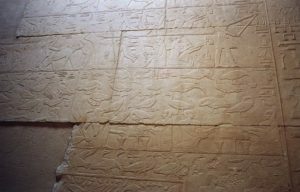 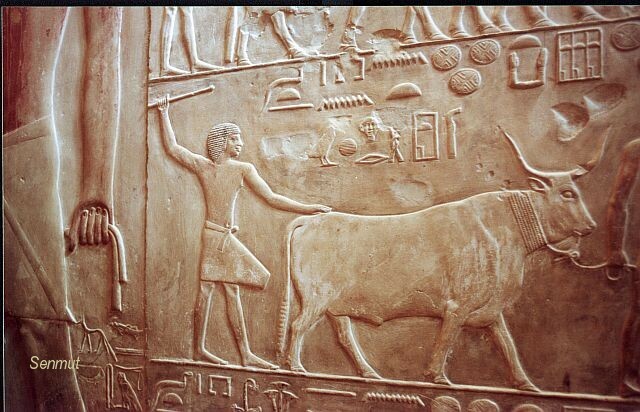 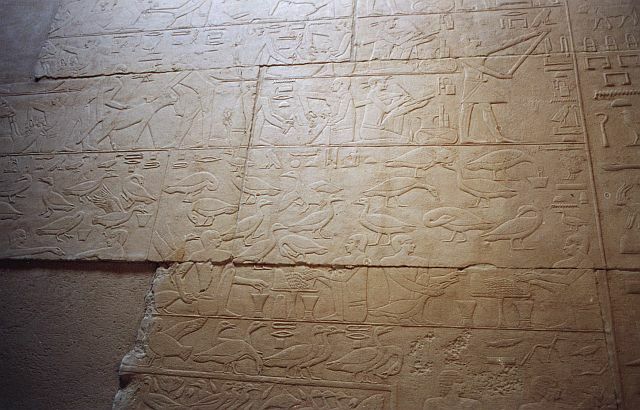 In fact this mastaba belongs to Ptahhetep and Akhethetep, his father. 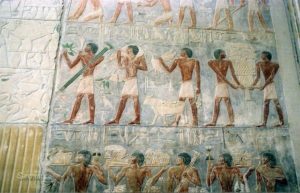 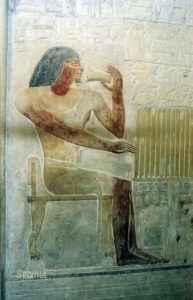 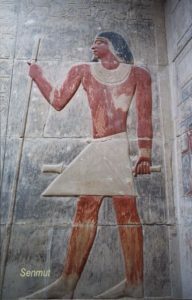 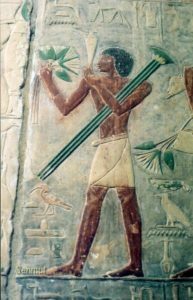 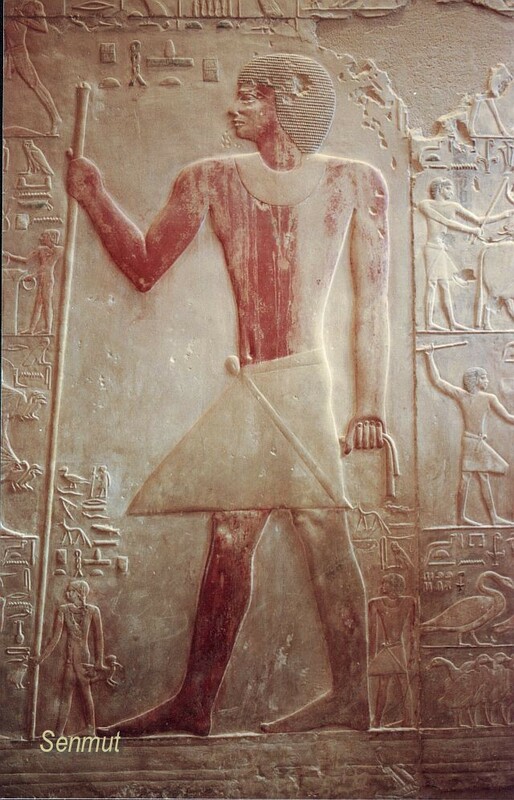 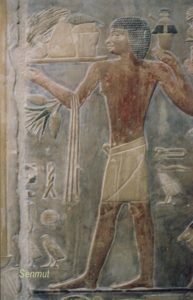 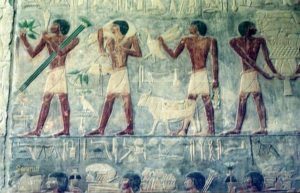 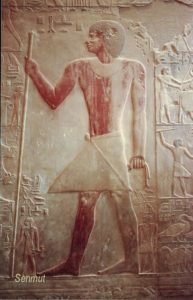 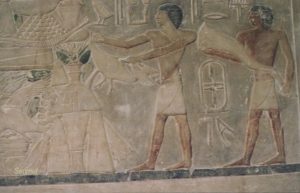 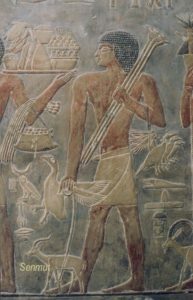 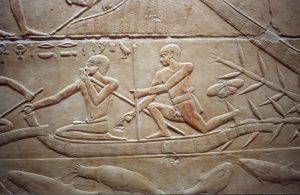 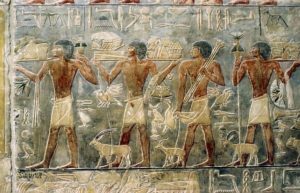 Ptahhetep held several titles:”First after the King”, “Governor of the great house” and “Chief of the secrets of all commands of the King”. 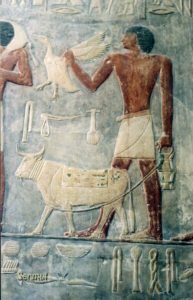 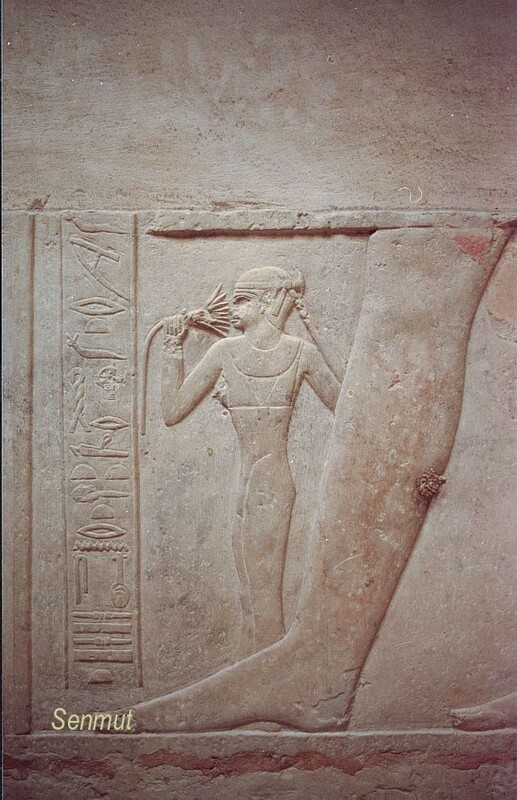 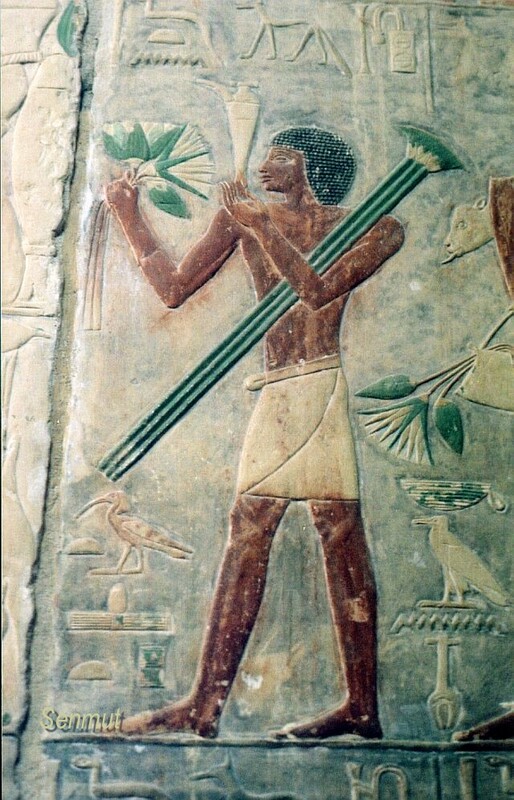 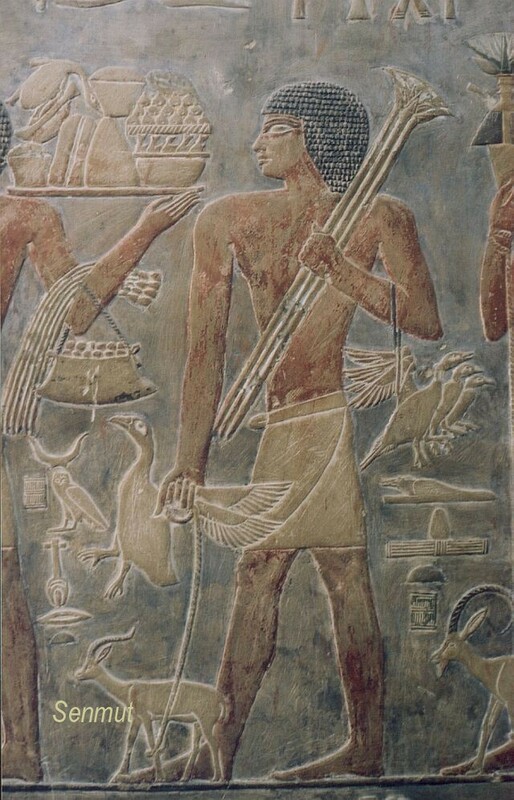 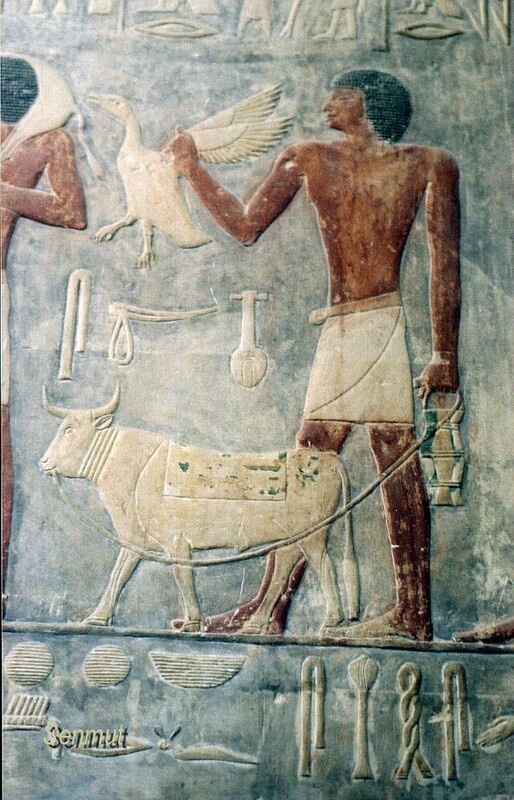 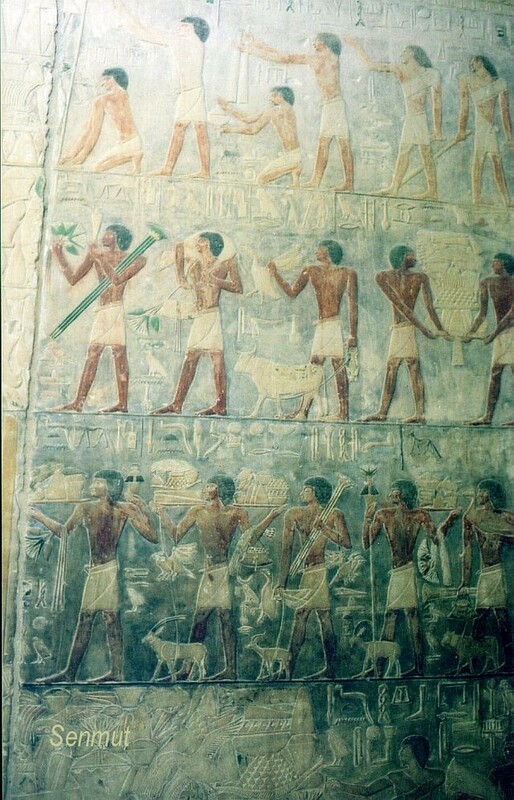 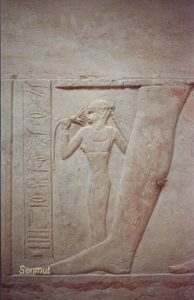 Akhethetep held the titles: “Supreme judge and vizier”, “First after the King”, “Priest of Maat”, “High priest of the beautiful pyramid of Djed-Ka-ra” and “Overseer of the two granaries”. 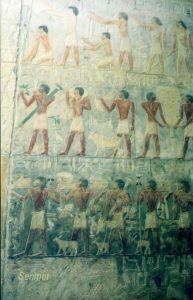 Directly after the entrance there are decorations of Akhethetep, then to the right you enter the main chamber with four columns. 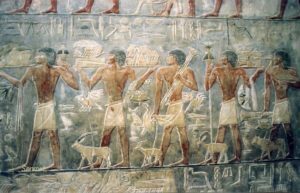 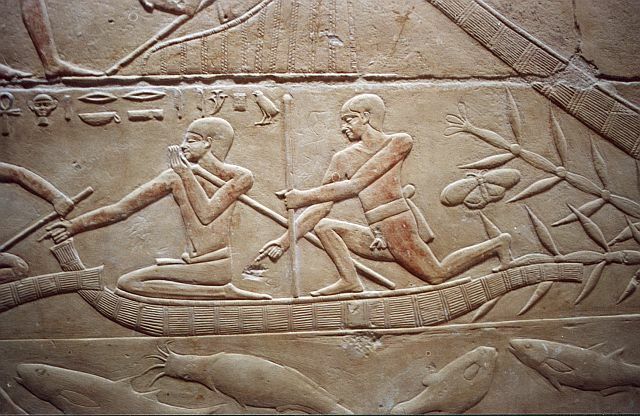 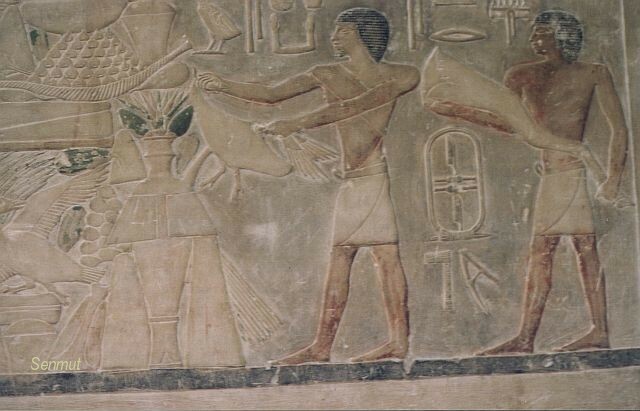 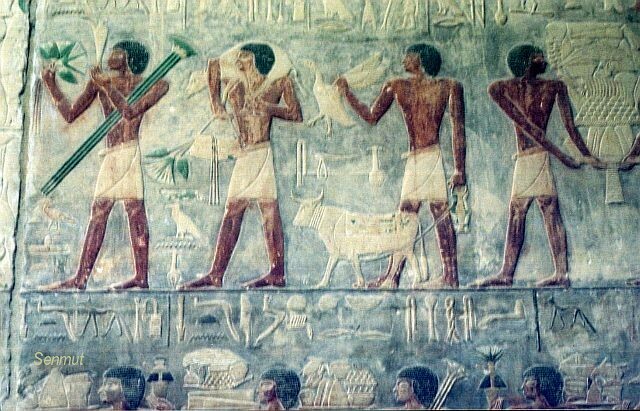 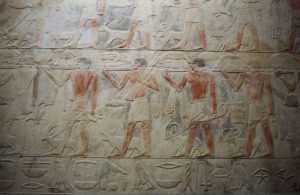 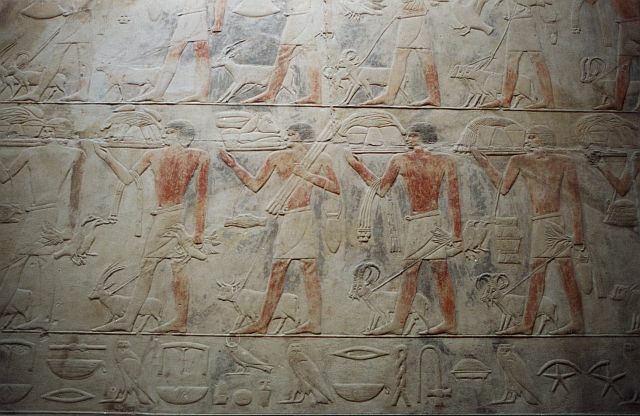 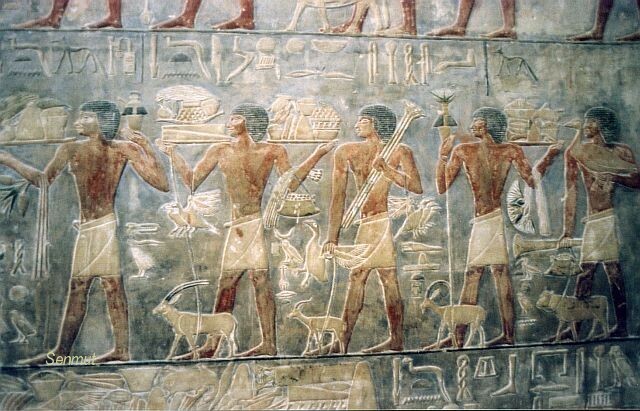 The tomb has two chapels, one for Ptahhetep to the left, and one for Akhethetep straight on from the main chamber.